Look through the holes to follow the story in this high-flying interactive adventure! Each book in this series follows a vehicle on its journey with holes in the pages playing an integral part in driving the narrative. Little ones will love finding them peeking through, and turning the page to see what the holes become. 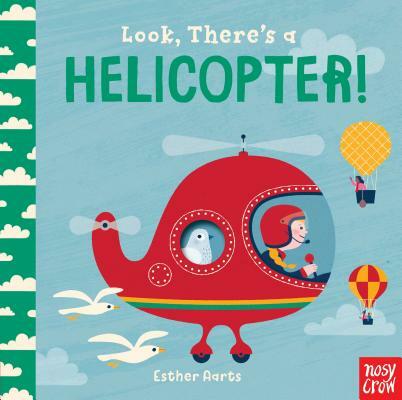 With gentle rhyming text encouraging children to answer questions, this high-flying rescue will be requested time and time again. Esther Aarts is a Dutch illustrator whose work has appeared in international newspapers and magazines and on greeting cards and T-shirts. In her spare time, she loves trampolining, cycling, and being outdoors. She lives in Nijmegen, supposedly the oldest city in the Netherlands.